The humble lampshade is ever so useful and is often quite beautiful. Sometimes unnoticed, and often overlooked, these ambience creators frequently get left to sit idle collecting dust. Whether it is a statement piece of colour and design or a simple monotone shade, they all collect dust and dirt that floats in the air. And let's not forget the moths' love of light, making a lamp shade an awfully appealing place to rest. If you are only just noticing how grimy your lamp shades may be. 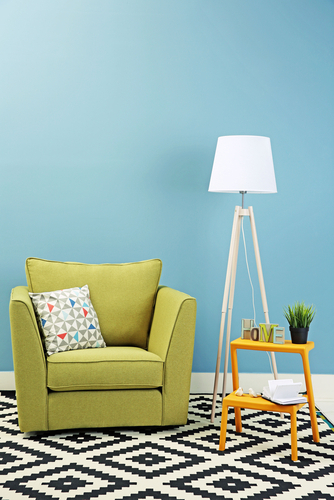 Don’t fret, we’ve got a simple guide to keeping fabric lamp shades bright. Please always be gentle, and take care to notice if any glue or point of fastening is coming loose. Some shades allow you remove the fabric, others do not. But all can be cleaned is the same basic way. Pleated shades can be a bit trickier, but it is still possible to clean them. First of all, you want to remove the dust on the surface. The simplest way to do this is with a vacuum that has a small soft brush attachment. Remove the shade from the base, and gently work the vacuum over the shade, inside and out. You can also use a slightly damp cloth to lift the surface dust off. Fill a sink, bathtub or bucket with warm water and soap. You need a vessel which is large enough to submerge the shade in entirely. Soak the lamp shade in the soapy water, give it a gently jiggle around, dunking up and down a few times. At this stage, if the water is already dirty, empty it and replace it with clean warm soapy water. Take the soft cloth and begin to gently work your way around the outside and inside of the cloth. Working in small circular motions will help to free dirt and minimise the risk of streaks. Working on stained areas with gentle meticulousness. Refreshing the water as it soils, keep replacing the water and gently dunking the shade until the water remains fairly clean. Soap or detergent will leave a residue which can affect the fabric. You need to make sure you remove it all. You can repeat the dunking with fresh water, or rinse the shade with running water. The combined efforts will yield the best results. You may notice that the fabric has ‘stretched’ or is sagging. This is totally normal, provided you haven’t been pulling on the fabric vigorously. If you have removed the fabric from the shade frame, replace it before drying. You can choose to either let the shade drip dry or use a hair dryer. Drip drying is the easiest and safest method. Though it is also the longest. If you are in no rush, then this a great method. Simply hang the shade in a well-ventilated area, either indoors or outdoors - be wary of any active birds who may threaten to poop on your clean creation. Using a hair dryer is the more time effective solution. However, some caution must be taken. Especially with printed fabrics. Use a low warm heat, if you have a diffuser attachment for the hair dryer, use it. Keep the hair dryer at least 30-50cm away from the fabric. Never place the dryer onto, or within centimetres of the fabric! This risks burning the fabric, or melting the print. Keeping the hair dryer at a distance and on a low warm temperature. Gently move it over the fabric, not concentrating on any one spot for too long. 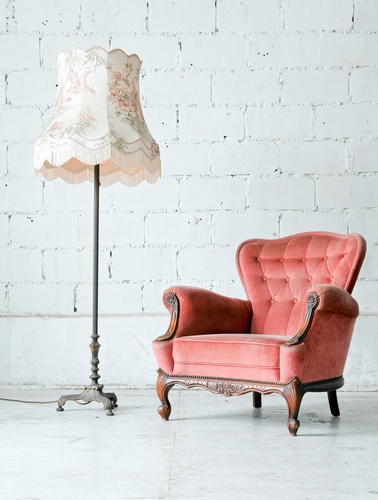 With a little care and delicacy, you can have a bright and crisp clean lamp shade. Voilà! As beautiful and eye-catching as the day you bought it home. 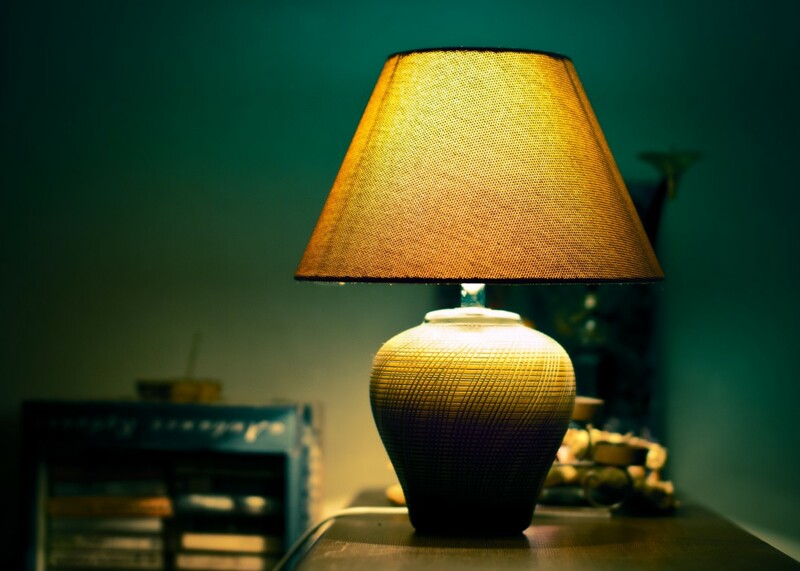 If your lamp shades have gone neglected, why not trust a professional with their care. The team at Terry’s Steam Cleaning can help you bring them back to bright life. Have just one or two? The team can do them when they visit for your next upholstery clean. Contact the team today.